Philips makes a huge quantity of products, from laser hair removers to irons, and many of them are best in class. There are also some excellent TVs and of course Philips Hue light bulbs but, somewhat confusingly, these are actually made by different brands licensing the Philips name. So, with the exception of TVs and bulbs, Philips is having a big sale right now, with up to 60% off its cornucopia of products. Whether you want an electric breast pump or a smoothie maker, there's something for you. Arguably the pick of the deals, however, can be found in the electric toothbrush department. Philips' sonic brushes are the best you can get, in our view. 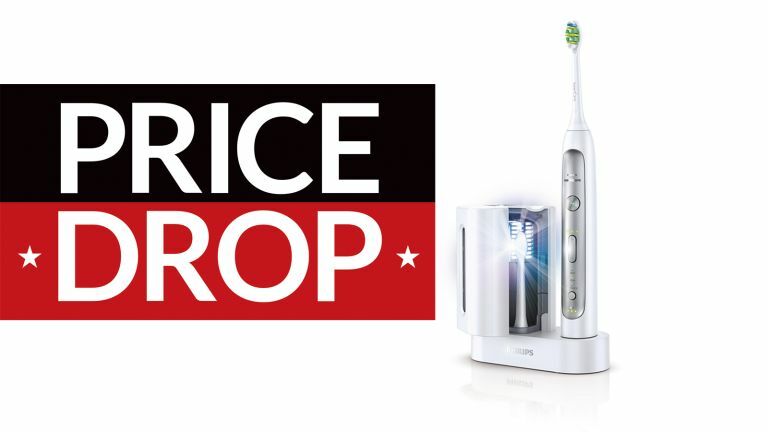 Like their Oral-B brethren, they are frequently discounted, but even so, half price is a very solid price cut. If you sign up for the Philips newsletter you can get a further 15% off this price, taking it under £100. Students also register and get a 15% discount, although it's not clear if you can have this on top of the other 15% trim. This is slightly older, but still one of the best Sonicare brushes. It's very elegant, easy to handle, and cleans brilliantly, with 5 modes (clean, sensitive and 'gum care' plus the slightly baffling 'massage' 'to stimulate your gums' and a quick 'refresh' setting for when you don't have 2 minutes to clean your teeth, but do have 1 minute). Two brush heads are included. You'll also find small-to-large price cuts on everything else Philips sells, with this deal on the Series 9000 electric razor being arguably the best of the bunch. The best shaver you can get, other than Philips' own upgraded Series 9000 Prestige, the Series 9000 effortlessly removes up to 2-3 days' stubble with its rotary motion. The flamboyantly-named V-Track blade system PRO, with its 8-direction ContourDetect heads get rid of your beard quickly, with minimal irritation. You can even use shaving foam if your skin is really sensitive.